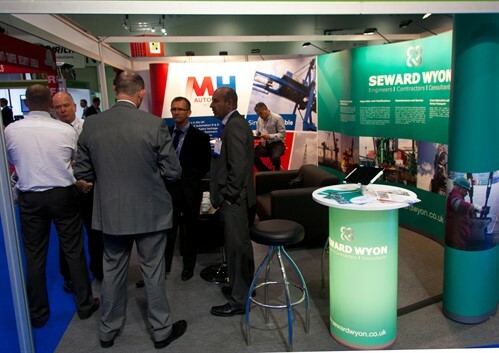 Images from the annual Terminal Operators Conference, held at the at the London ExCel from the 24th - 26th June 2014. 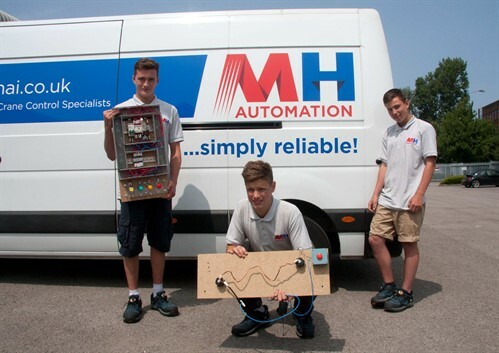 Congratulations to aspiring electrical engineer Hamaad Khan from St Cyres Comprehensive school in Penarth, who is currently undertaking a weeks engineering work experience with MHAI. 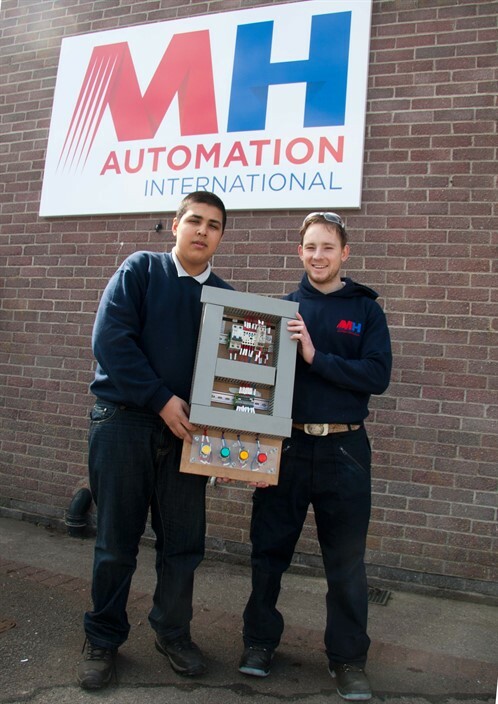 Hamaad was assigned various automation projects to complete, one being an electrical control circuit for a traffic light system (seen holding below with his Supervisor James Anthony). MHAI wish him all the best for his future. 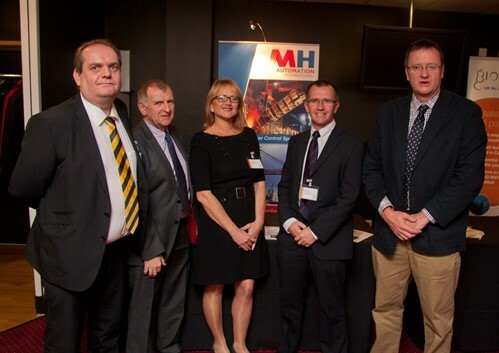 MHAI are proud to have been nominated as finalists in the Welsh Regional Knowledge Transfer Partnership (KTP) awards. These awards, held at the Millennium Rugby Stadium on Wednesday 13th November, celebrated the achievements of winning partnerships held between April 2009 and March 2013. 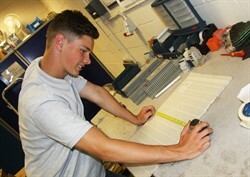 Knowledge Transfer Partnerships is a UK government initiative helping businesses to improve their competitiveness and productivity through the better use of knowledge, technology and skills that reside within the UK Knowledge Base. 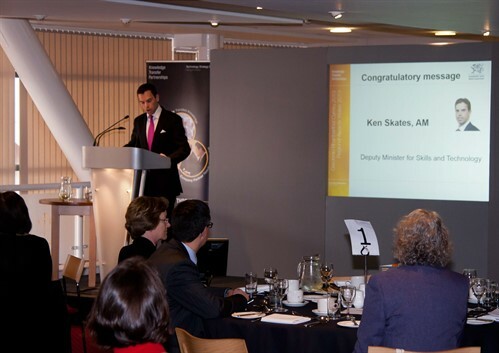 (Image above): Guest Speaker , Welsh Government Deputy Minister for Skills and Technology , Mr Ken Skates. 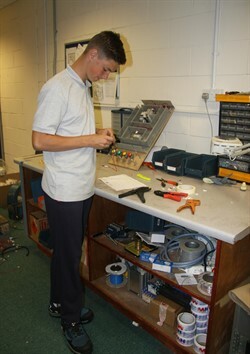 MH Automation are currently hosting work experience placements for the summer period. 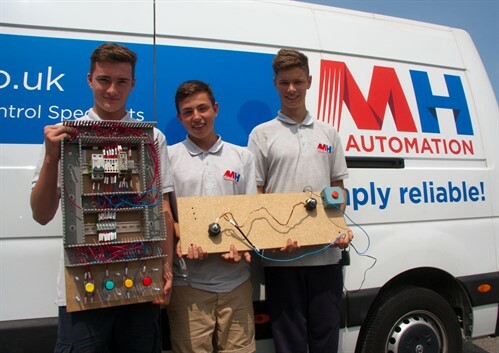 Below are the three students from Stanwell Comprehensive School (Penarth) plying their newfound engineering skills. Have fun boys! 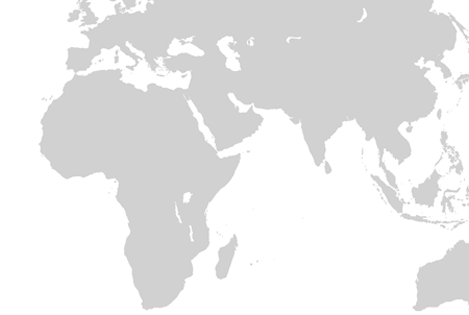 companies global brand image, while maintaining individual countries local brand identity. The new look, designed by Crandon & Friends, will be implemented across all marketing collateral over the following 6 months. 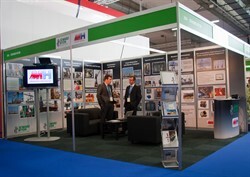 MHAI exhibited for the first time in Europe at the annual Terminal Operators Conference (TOC) show in Antwerp, Belgium. 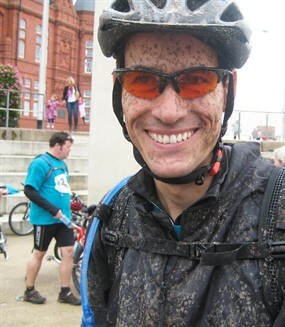 Taking the harsh lessons learnt on the Taff Trail to heart, Team MH upped their game and tackled the annual Carten 100 mile bike race from Cardiff to Tenby. 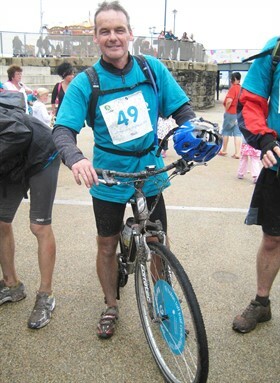 A minor crash, 2 unlucky punctures and some misguided (although hilarious) attempts to unclip cycling shoes when stopping, couldn't stop the team from completing the event - well done team MH! 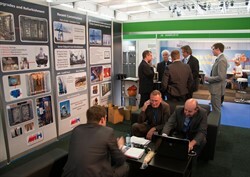 A big thank you to everyone who helped us with sponsorship for the event. 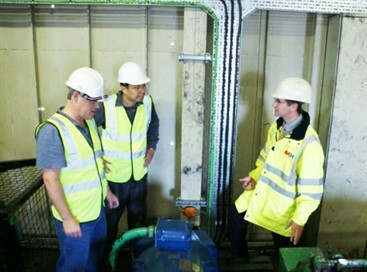 MH Automation International was recently honoured to host visitors from sister company Dalian MH Electric Co Ltd who are based in Dalian, Liaoning Province in China. 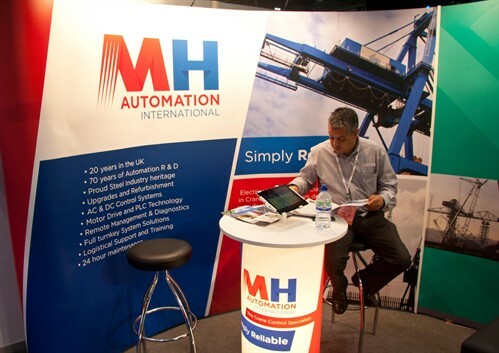 The group was on a business development and fact finding exercise and visited various MH Automation International customer sites within the UK. 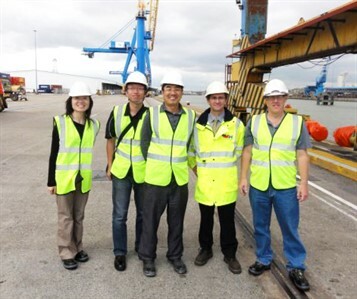 Seen below at Associated British Ports (ABP) at the Port of Hull are: (left to right) Xiujie Gong (Deputy GM - Dalian MH Electric Ltd.), Fei Wang (Sales Manager - Dalian MH Electric Ltd), Bo Teng (CEO - Dalian MH Electric Ltd), Robin Evans (Managing Director - MH Automation International Ltd) and Andrew Newman (Director-Dalian MH Electric Ltd).